If you are visiting Nevis check out the events and highlights throughout the year. 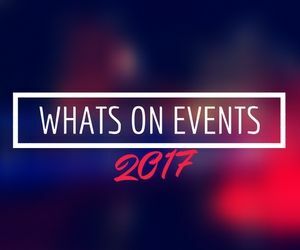 From Food and Cultural to Sporting and Music, use our Nevis events calendar to plan your trip around your favourite event. Each February the island celebrates its History and Heritage with local events and entertainment. One of the most popular open water swimming events in the region. Participants set off from Oualie Beach on Nevis for the 2.5 mile swim across the Narrows to Cockleshell Bay in St Kitts. 2016 will be the 9th Booby Island Regatta and Sailing Festival. The 3 day event is open to everyone and participants and spectators can enjoy a host of beach front entertainment. The annual Summer Culturama Festival in Nevis is held mainly in the Capital Charlestown with costumes, parades and street parties late into the night. Held Each year at Ouile Beach the yearly competition about 30 boats loaded with fishermen from the Leeward islans come to Nevis to take part in the Annual Fishing Tournament.